Gig Werks is an industry leader when it comes to business intelligence in both on-premises and cloud based solutions. Our experience includes the full Microsoft stack of reporting solutions including Power Business Intelligence (BI), SQL Server Analysis, SQL Server Reporting Services and Azure Analysis Services. Business Intelligence Solutions allow everyone access the business information they need to make better decisions, faster. With powerful features that include interactive dashboards and scorecards, people can use the information in databases, reports, and business applications to address specific needs. Gig Werks expertise around business intelligence solutions and SharePoint can help your organization get the most out of your investment. Below is a list of Business Intelligence Tools & Features from Microsoft. Microsoft SQL Server 2016 enables organizations to build comprehensive, enterprise-ready analytic solutions that deliver actionable insights through familiar data visualization tools such as Microsoft Power BI and Microsoft Excel. Transform complex data into a business intelligence (BI) semantic model that can be easily accessed and understood by business users to provide faster time to insights and increase adoption. With SQL Server 2016 Analysis Services you can create powerful BI semantic models, whether you decide to use traditional multidimensional models or tabular models, and get started faster. Tabular models: Tabular models in SQL Server Analysis Services 2016 provide an easier, simpler, yet powerful way to create semantic models. Use tabular models in-memory to access data at the speed of thought, or access data directly in real-time without storing it in Analysis Services with DirectQuery. Multidimensional models: Benefit from performance and manageability enhancements in SQL Server 2016 Analysis Services to the rich semantic and highly scalable multidimensional models. Simplified setup experience: SQL Server Data Tools (SSDT) for Analysis Services 2016 is available as part of SSDT in Visual Studio 2015, providing a simplified setup and installation experience for all your SQL Server Data Tools. Hybrid BI—connect to on-premises data from the cloud: Benefit from your investments in SQL Server Analysis Services by connecting your multidimensional and tabular models to Power BI and access up-to-date information without moving your data to the cloud. Predictable cost of ownership: With the BI capabilities built-in to SQL Server 2016 you can reduce licensing complexity by not licensing critical BI features a-la-carte. Combine data from multiple sources into a single, trusted BI semantic model that is easy to understand and use. Enable self-service and data discovery for business users by simplifying the view of data and its underlying structure. Reduce time-to-insights on large and complex datasets. Fast response times mean your BI solution can meet the needs of your business users and keep pace with your business. Plus, connect to real-time operational data using DirectQuery and closely watch the pulse of your business. Ensure only authorized users can access your data models, no matter where they are, with role-based security and Azure Active Directory support. And with 99.9% availability*, your users can access critical information when they need it. Release your BI solutions in a predictable and secured manner. With robust application lifecycle management capabilities, you can govern, deploy, test, and deliver your BI solution quickly and with confidence. Focus on solving business problems, not learning new skills, when you use the familiar, rich, and integrated development environment of Visual Studio. Easily deploy your existing SQL Server 2016 tabular models to the cloud. Using the Azure Resource Manager, create and deploy an Analysis Services instance within seconds without the burden of managing infrastructure. Scale up, scale down*, or pause the service and pay only for what you use. Bring the power of data to more users in the organization with mobile reports. With the built-in mobile BI capabilities in SQL Server 2016, BI professionals can use familiar and easy to use tools to deliver insights that can be accessed by business users in an intuitive, engaging way from their desktop or mobile device. Design modern paginated reports. Create and publish precisely-formatted, paginated, modern reports—including rich data visualizations—with familiar tools such as Report Builder or Report Designer in SQL Server Data Tools. Access all your reports in one place. With the Reporting Services web portal, you can manage and provide secured access to your reports and KPIs in one place. The web portal is built on HTML5 technology and optimized for modern browsers. Extend your on-premises solution to the cloud. 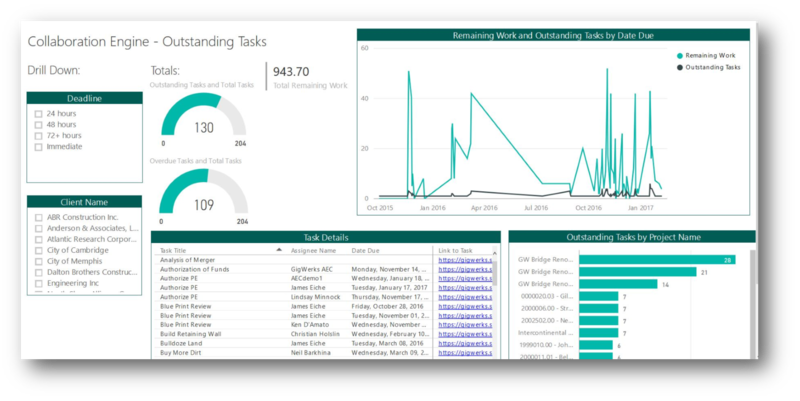 Use Power BI dashboards and benefit from existing investments in SQL Server Reporting Services. No need to recreate reports or move them to the cloud, simply pin existing Reporting Services charts, gauges, maps, and images to your Power BI dashboards. Predictable cost of ownership. With the reporting capabilities built-in to SQL Server 2016, you can reduce licensing complexity by not licensing critical enterprise reporting features a-la-carte.